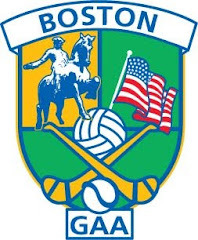 Next weekend sees the start of the Boston Northeast GAA championships. 2017 Pat O’Brien Cup champions, Aidan McAnespies take on Christopher’s while Connemara Gaels and the Wolfe Tones will lock horns. The following week will see Shannon Blues, Donegal and Galway in action as the championship picks up momentum. This year’s senior football championship is most eagerly awaited as it is anticipated to be one of the most competitive in many years, with several teams having a real chance of winning. The registration rules have been amended for 2017 to require 6 home based players, and the deadline has been brought forward to July 1. Many teams look as though they have been shaping up nicely on the home based front, already there is plenty of top class talent, and many familiar faces, ready to put their skills and competitiveness to the test. The senior and junior hurling championships start on a couple of weeks later on June 18 with Galway and Fr. Tom’s facing off in what will be a best of 5 games for this year’s title. Wexford and Tipperary kick of what look like it will be a very competitive junior A championship that also will have defending champions, Offaly, as well as Galway and Tom’s vying for the coveted Eddie Treacy Cup. The junior C hurling championship has started with Barley House Wolves scoring a win against the newest arrivals, Providence HC. The hurlers of Portland, Hartford and Worcester will also be plying their trade on the hurling fields of New England. The Kerry footballers make a welcome return to the ranks and will enter the junior B competition, while the race for the prestigious junior A championship will see six teams make up a very competitive field challenge for the Pat Callaghan Cup. Cork, Shannon Blues, Aidan McAnespies, Connemara Gaels, Donegal and Wolfe Tones will all have an eye on making the semi-finals in early August. The Ladies senior championship kicks off on June 17 with the Boston Shamrocks and Connacht Ladies renewing a rivalry and a best of 5 for the Orla Benson Cup. Also at the weekend on Saturday, the first hurling trophy of the season is up for grabs between Tipperary and Fr. Tom Burke’s in the Sheehan Cup Final, while the Boston Shamrocks defend their Orla Benson Cup title in the final versus Connacht Ladies on Sunday at 1:00.